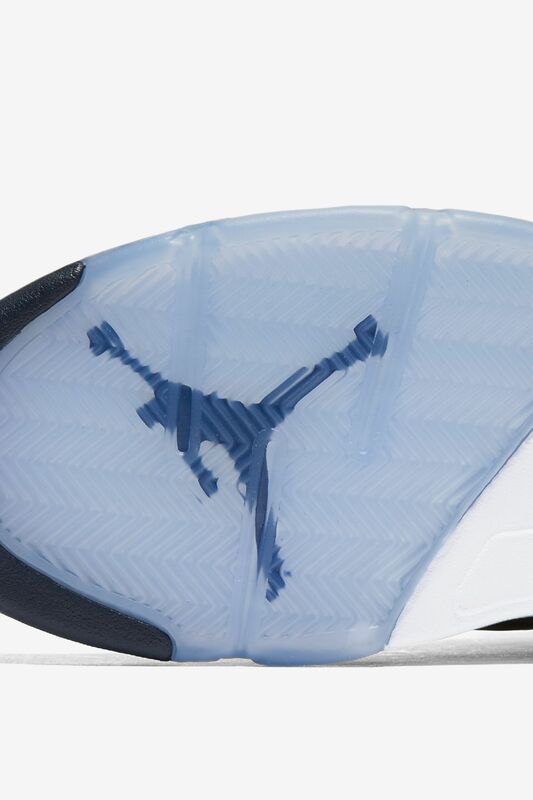 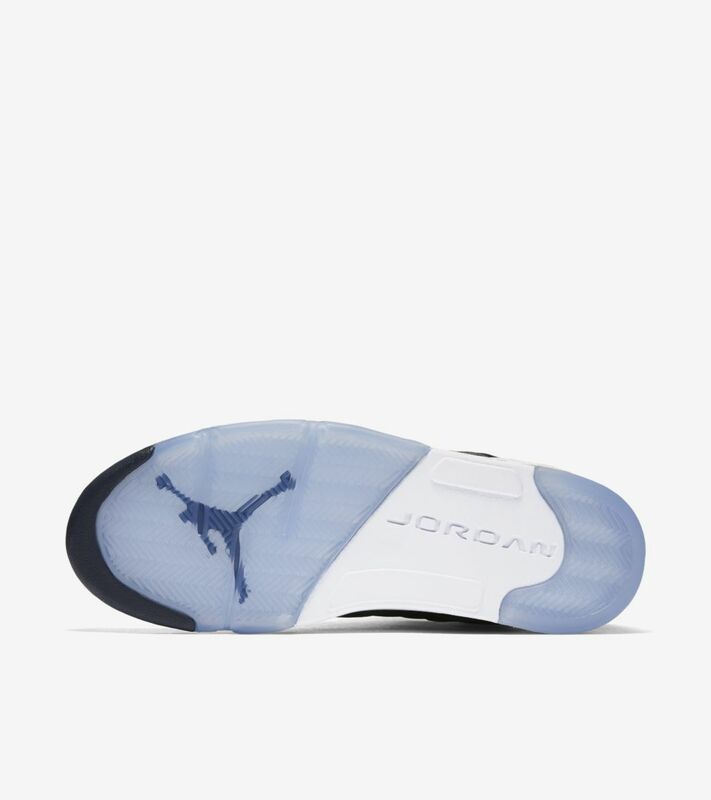 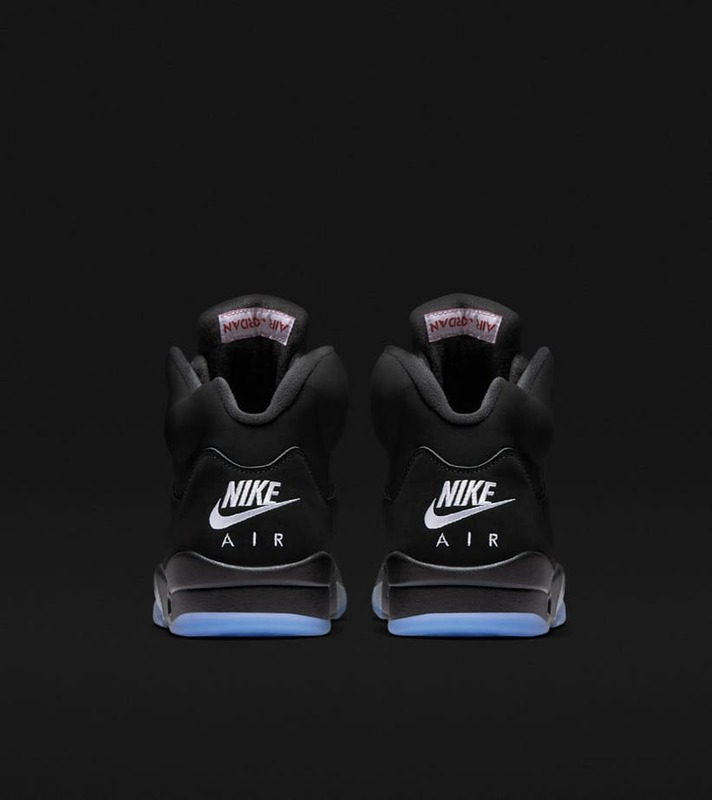 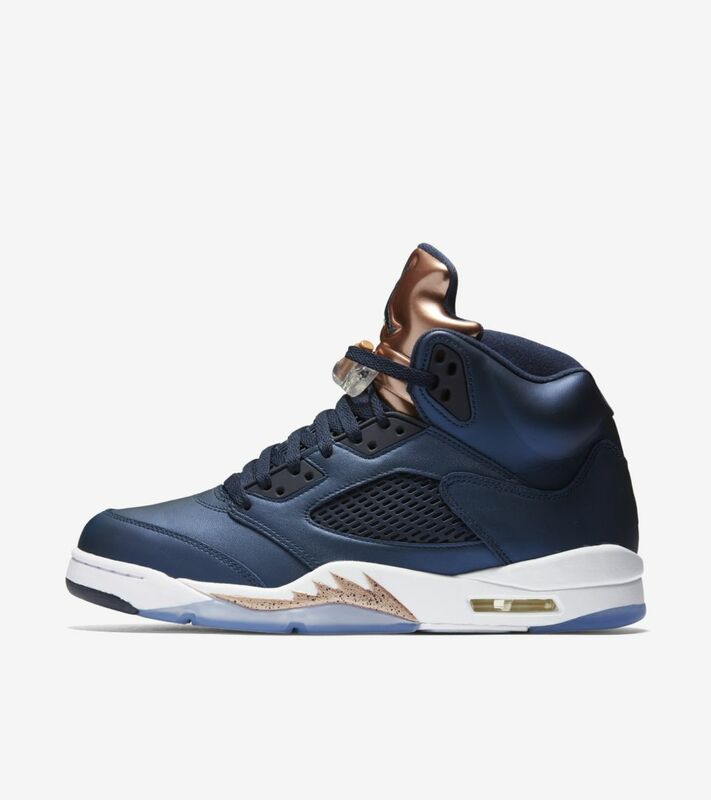 Born in 1990, the Air Jordan V personifies fighter jet design inspiration and elite performance. 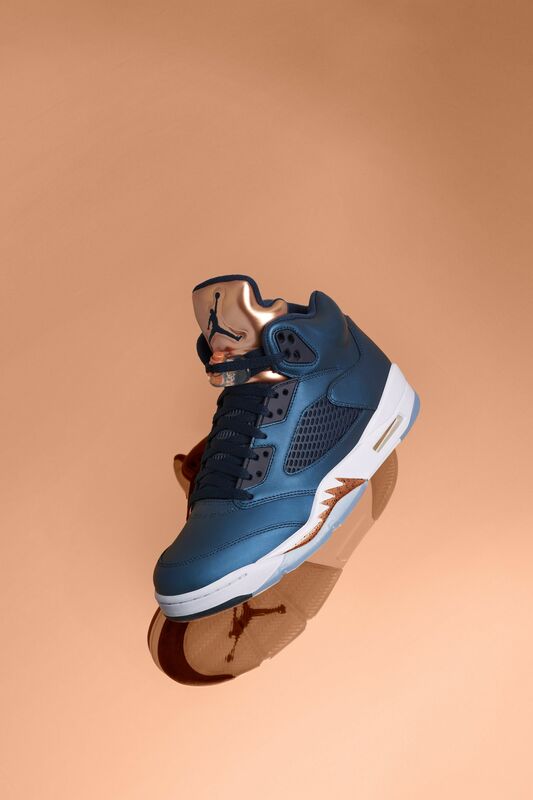 The icon first arrived in metallic fashion, and now it continues to shine bright over two decades later. 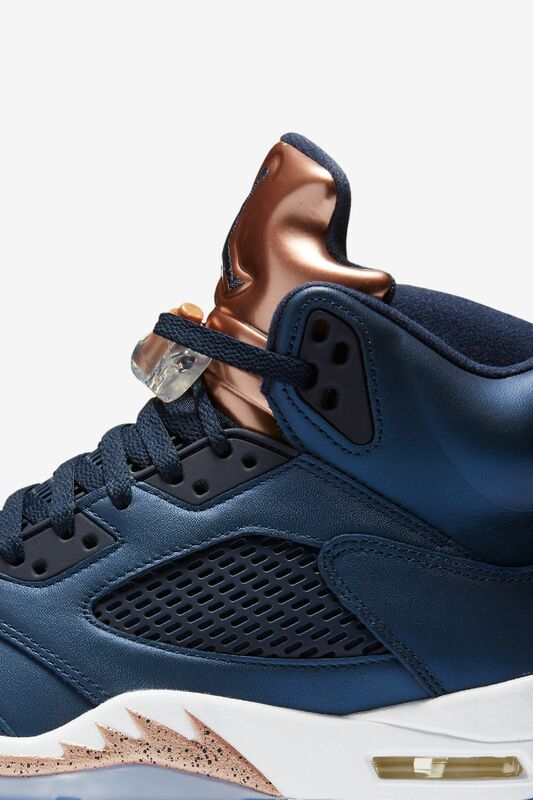 In its latest iteration, the Tinker Hatfield design is presented in a new 'Bronze' colorway. 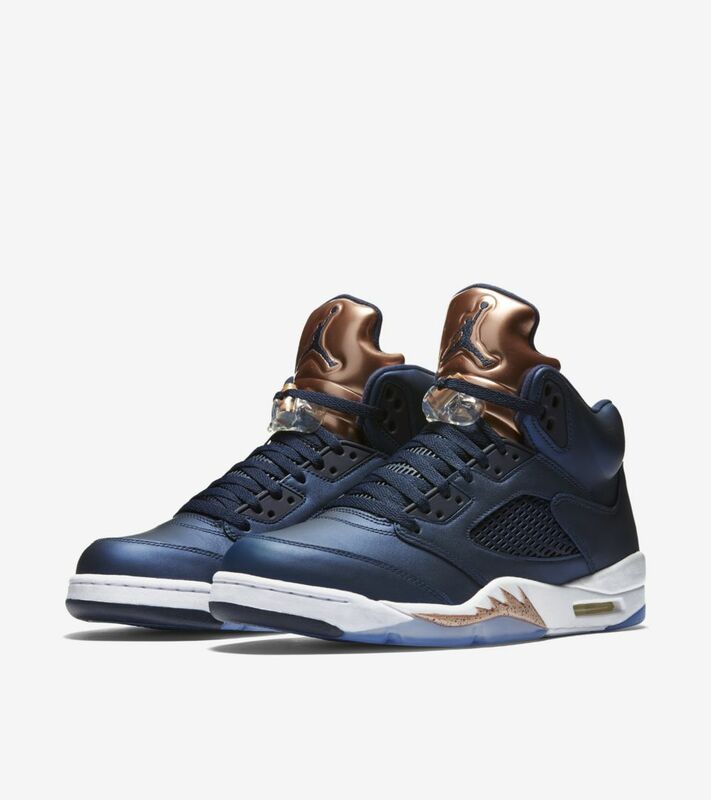 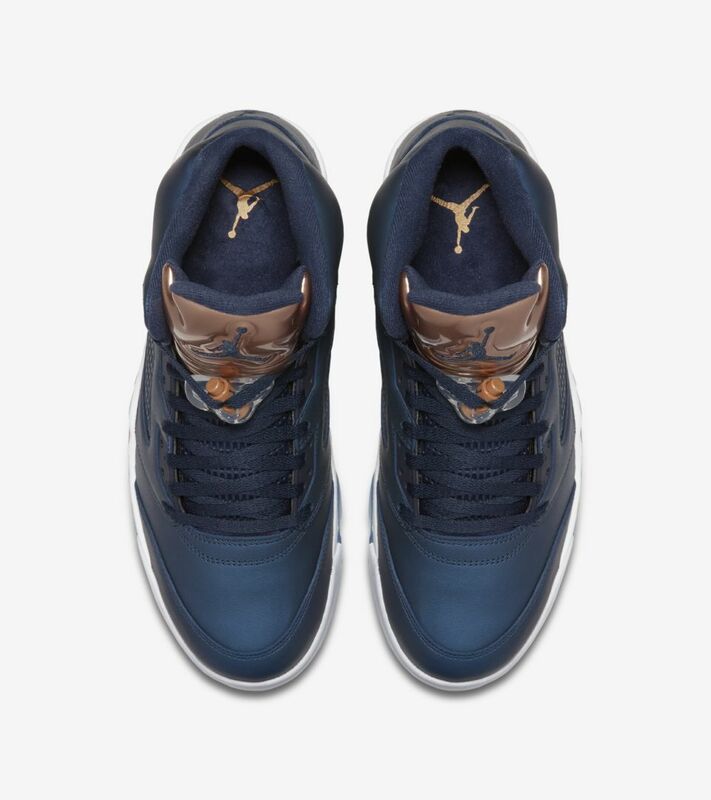 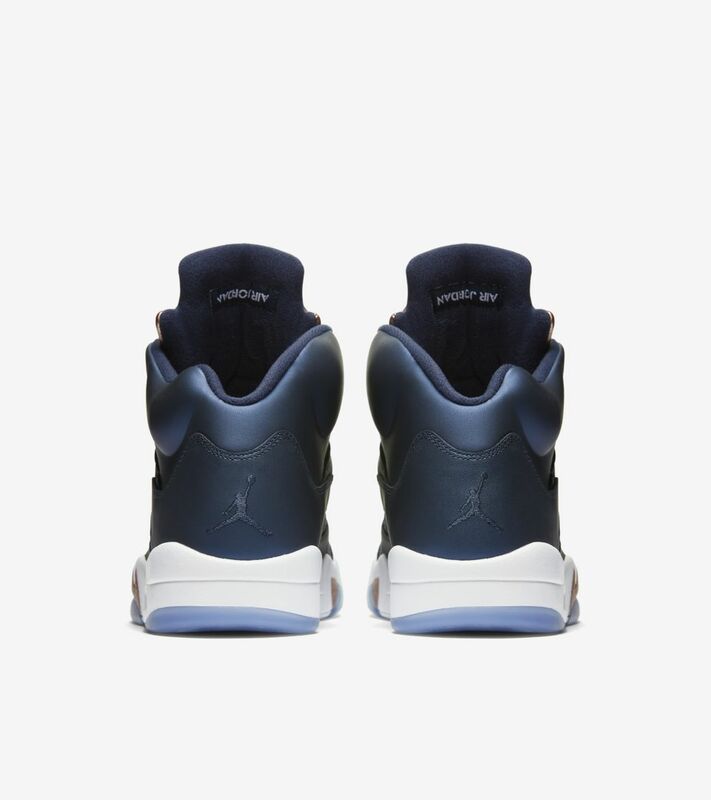 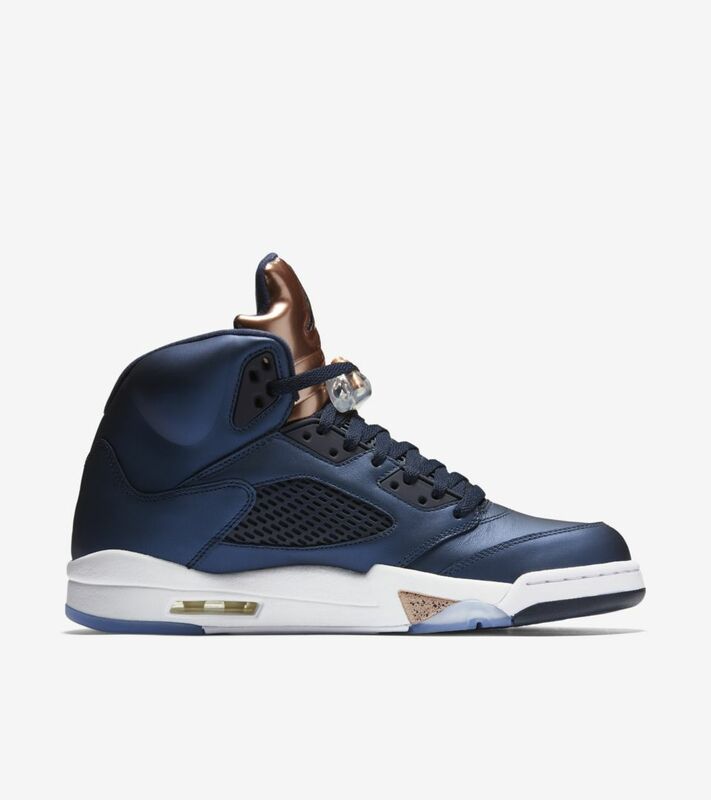 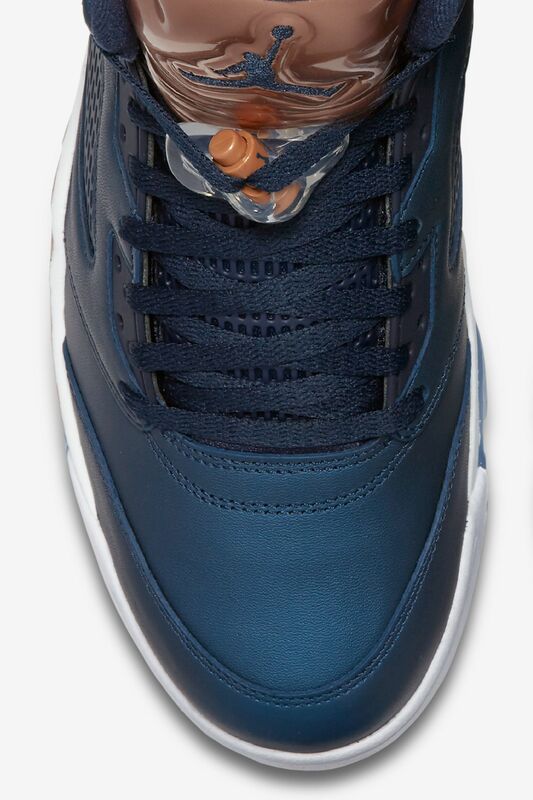 An obsidian leather upper combines with a bronze-finished tongue, and is set over a classic Air Jordan V sole.